Abigail Stauffer and Dave the Cellist blend soulful pop vocals with the rare and distinct sound of jazz cello. Dave's fluid mastery over his instrument lays down a foundation over which Abigail effortlessly jumps between registers, revealing her astounding vocal control and tone palate. Every song is a captivating showcase of confidence and vulnerability, crafting a balance of pain, hope, and joy. Their show evokes so much emotion, it's hard to believe each song isn't specifically about you. I am currently a full-time member of three badass bands. They represent totally distinct but integral parts of my creative life. Check out our individual websites to see when we’re playing or for booking info. 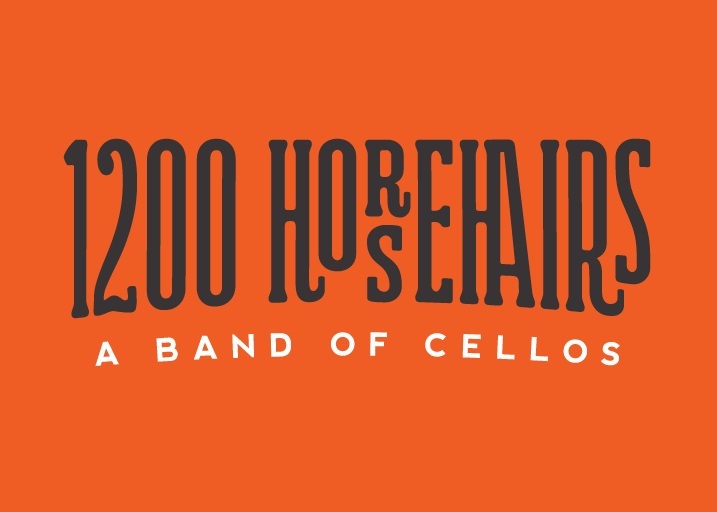 1200 Horsehairs is a band of cellos playing popular and new music ranging from traditional to metal. Its members are internationally active cellists who have played with The Trans-Siberian orchestrra, The Paul Winter Consort, The Moody Blues, and others. Original Chamber music inspired by tradition from around the world. Dunham Shoe Factory is a contemporary acoustic ensemble playing original compositions influenced by world traditions. Combining the clarinet, oud, percussion and cello, their music draws from an array of styles including Egyptian, Jazz, Brazilian, Turkish, Classical and Indian music. Dave Haughey changes the way people think about the cello. His holistic approach to modern cello playing encompasses myriad genres and techniques, making him one of the most versatile young cellists in the world. He is an improviser, composer, and teacher who is always searching for new ways to expand the unique capabilities of the cello, thus trailblazing a path to a world where the instrument is known not only for is place in classical music but also as a versatile and ubiquitous tool for music making in any genre. He has performed with the Paul Winter Consort, Eugene Friesen, Zohar Fresco, Armen Ksajikian, Roman Stolyar, Andrew Bishop, Glen Velez, Loire Cotler and others across the globe from the USA, to Asia, South America, Europe, and the Middle East. Dave has taught private lessons and workshops at festivals and schools around the world, including at The Berklee School of Music, The Conservatory of Tatui, the Rio International Cello Encounter in Brazil. He works as a performer, recording artist, teacher, and composer. Dave Haughey muda o conceito do que o Cello pode ser. Ao trilhar caminhos não convencionais com um instrumento convencional, Dave está sempre descobrindo novas técnicas instrumentais, compondo músicas que alcançam diferentes estilos e encontrando novas formas de se expressar. Seu estilo inovador é formado por sua experiência em diversos gêneros musicais, incluindo jazz, música folclórica, música clássica, improviso, música brasileira, entre outros. É um artista com atuação internacional, com apresentações nos EUA, Europa, Ásia, América do Sul, e Oriente Médio, em parcerias com artistas que incluem Paul Winter, Eugene Friesen, Armen Ksajikian, Roman Stolyar, Steven Katz, David Chew, Abigail Stauffer, Yaniel Matos e Eugene Uman. Dave Já de aulas e masterclasses no Berklee College of Music, no Conservatório de Tatuí e no Rio Cello Encounter. É bacharel em música clássica pela University of Northern Colorado, onde estudou com James Fittz e David Chew, e mestre em improviso pela University of Michigan, onde estudou com Andrew Bishop, Richard Aaron e Geri Allen. Atualmente mora em Northampton, Massachusetts com sua esposa e seu filho. I grew up studying the Suzuki method and received training as a Suzuki teacher from the Chicago Suzuki Institute. I have a Bachelor's in Classical Cello Performance from the University of Northern Colorado, where I studied with Dr. James Fittz and David Chew, OBE. I have a Master's in Improvisation from the University of Michigan, where I studied improvisation with Geri Allen, composition with Dr. Andrew Bishop, and cello with Richard Aaron. It is my firm belief that cellists today are not only expected to be proficient classical players, but contemporary players as well. This means we must learn from the numerous musical traditions that we encounter every day as well as those which might have been worlds away only 20 years ago, yet we now easily access at the tap of a finger. My goal as a teacher is to help my students combine all of these requirements and navigate the ever-changing musical world. I have been teaching private lessons for over 15 years. I have taught masterclasses and workshops in around the United States as well as internationally, including at the Berklee College of Music and at the Rio International Cello Encounter. Online lessons: As I spend a great deal of time on the road (or plane) I have found that the flexibility of teaching via the internet allows me to interact with students around the world without needing them to show up at my studio. While I always enjoy meeting with people face to face, and there are certainly things that just can’t be taught remotely, I’ve found that Skype (or google hangouts, or whatever) can be a wonderfully effective way to study improvisation, composition, theory, and even musical expression. I’ve taken many lessons from my favorite master teachers via the internet and have always been amazed by just how much I have learned in those sessions. That said, if we’re in the same town, let’s just hang out. Get in touch if you’ve got a question. I enjoy few things more than helping people get comfortable with this. Seriously. All other inquiries fill out the form and I’ll respond ASap. thank you! They are few and far between, but its the best way to know where I’m playing.